Castelli Store/Valley Spokesmen clothing is closed for now. A message will be sent via VSlist announcing the next store opening. 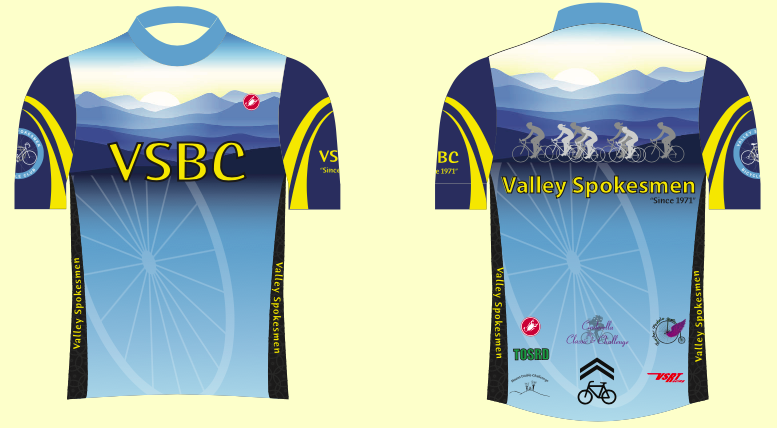 The Valley Spokesmen Jersey Design Committee, in conjunction with Dan Carhart (past club President) and Castelli, have developed a new Kit for our club. We've had a lot of input into the final product, we hope it becomes something we will all enjoy wearing in the coming years. Castelli is an Italian company with European sizing. Unless you are certain of the size you require, we highly recommend you try the clothing on. We will use bulk shipping, which will save additional shipping costs as well.